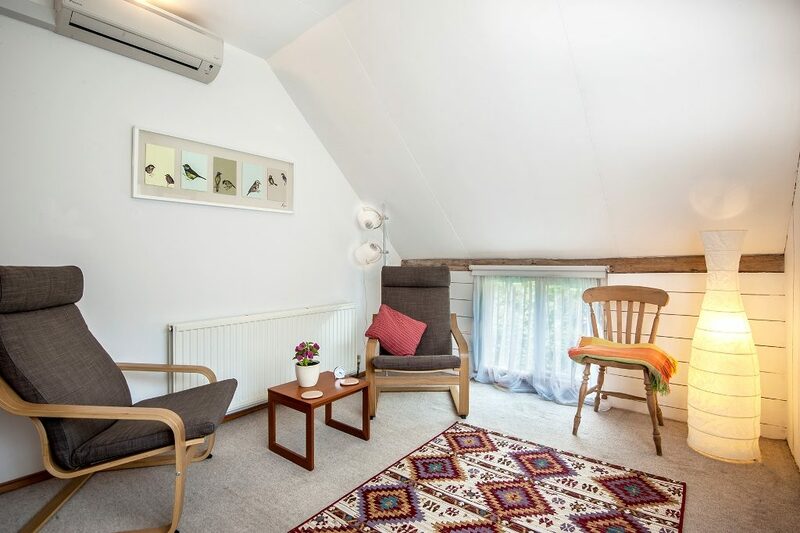 Brighton and Hove Psychotherapy’s clinical rooms in Lewes are located in a beautiful converted barn at 64 Southover High Street within a five minute walk from Lewes station and the town centre and with on-street parking. 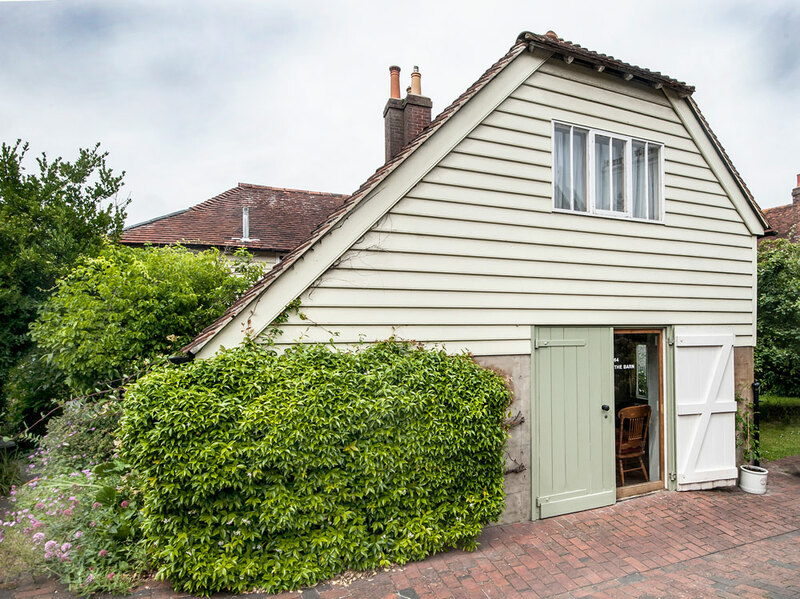 The Barn is a converted historical building dating back to the 12th century, and it has been run as a psychotherapy practice for nearly 25 years. Brighton & Hove Psychotherapy acquired the premises in June 2016 and are committed to continue offering high quality therapeutic services in the Lewes area. The Barn consists of three talking therapy rooms of differing sizes and layouts and a client waiting room. Please see the photographs of each of our rooms below. All of our rooms can be booked for individual work, two are suitable for couple therapy and our largest room is suitable for all clinical work including family therapy. All rooms have been furnished to a very high standard. The Barn features a buzzer system for each room so clients can press the appropriate bell for their clinician’s therapy room, enter, and take a seat in the waiting room. Brighton and Hove Psychotherapy is run by two UKCP-registered psychotherapists – Mark Vahrmeyer and Sam Jahara. As such, we fully understand the needs of fellow counsellors and psychotherapists in relation to consulting rooms. We both practice from our premises in Hove and Lewes and so we are able to ensure that the environment meets our exacting standards. Furthermore, we ensure that we meet and get to know all clinicians renting rooms from us so that they feel part of our practice and that we can assess their ‘fit’ to the therapy we offer. We are privileged to be the only dedicated Talking Therapies practice in Lewes and the surrounding area. As such, we are currently looking for fully qualified and experienced Psychotherapists (UKCP Reg. or equivalent) and Clinical Psychologists who wish to join a team of associates who contribute to the ongoing development of our thriving practice. We welcome expressions of interest from practitioners who can work flexibly with a range of client groups, and also those especially trained in working with couples and families. If you would like further information, please contact us or Email Us Directly. Our office hours are Monday to Friday, 9am to 5pm. Enquiries outside of these hours will be dealt with on the next working day. If you already rent a room from us and would like to use our automated system, please use our secure booking page. We are a psychotherapy practice, and consequently, working in a quiet environment is of paramount importance to us. We therefore only rent rooms to clinicians working with talking therapies such as counsellors, psychotherapists, psychoanalysts, psychologists, coaches and consultants. Our minimum rental is five hours per week. Therapy Room 1 is located on the first floor to the rear of the building. It is in the oldest part of The Barn, with exposed beams, a lead glass window to the east overlooking the lawn and gardens and a Velux window to the west. 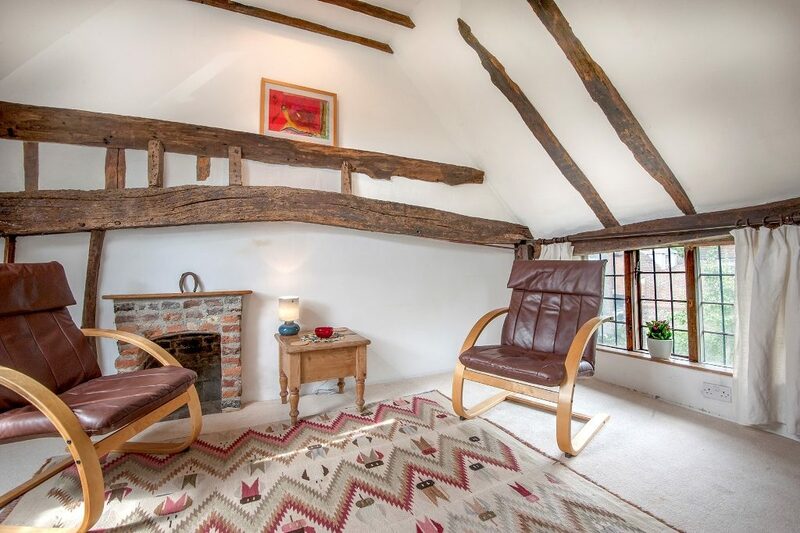 This room contains two comfortable chairs, a wooden armchair, a beanbag and plenty of floor space. Therapy Room 1 is suitable for individual and couple work. 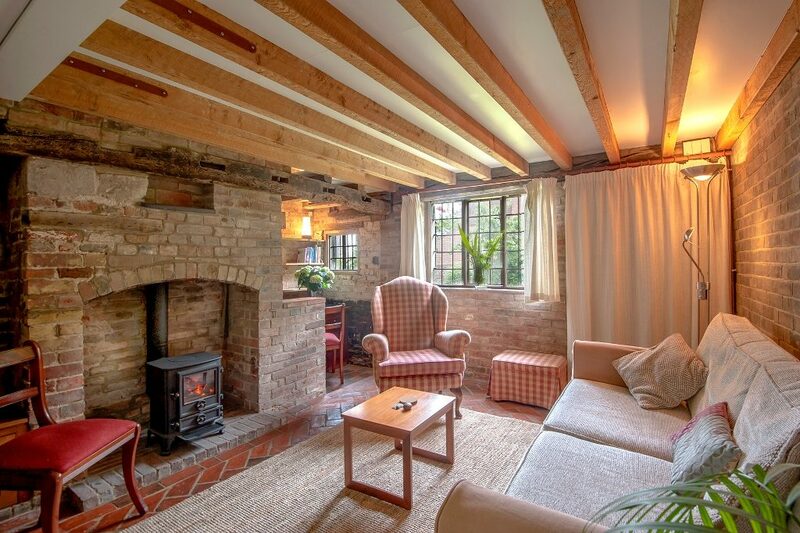 Therapy Room 2 is also located to the rear of The Barn and retains significant historic features including exposed beams and brickwork, and lead glass windows. There is also a fireplace with a gas-fired stove. 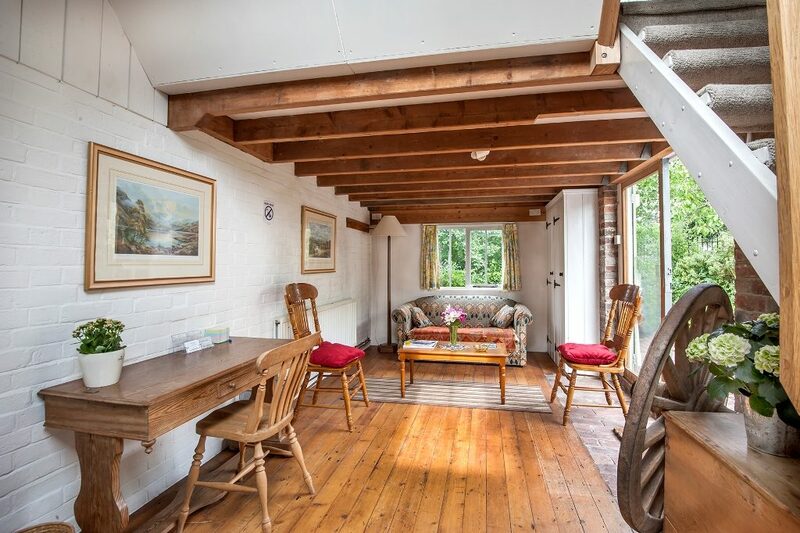 Room 2 contains two chairs, a footstool, a large sofa and a desk. Therapy Room 2 is suitable for individual, couple and family work. 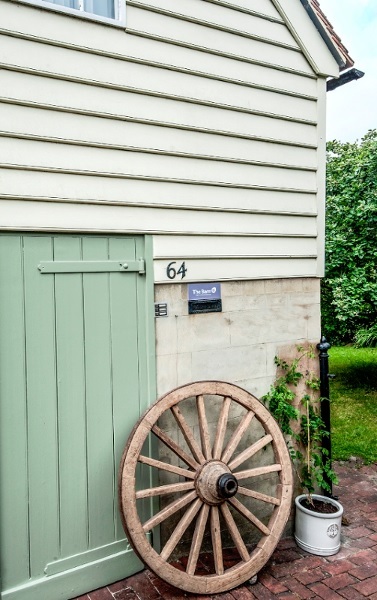 Therapy Room 3 is located at the front of The Barn on the first floor facing Southover Church. The room contains a large desk, two comfortable chairs and one additional wooden chair. As Therapy Room 3 is south-facing, air-conditioning has been installed for comfort. Therapy Room 3 is ideally suited to individual talking therapy. The waiting room at The Barn is large enough to accommodate five clients at any given time.